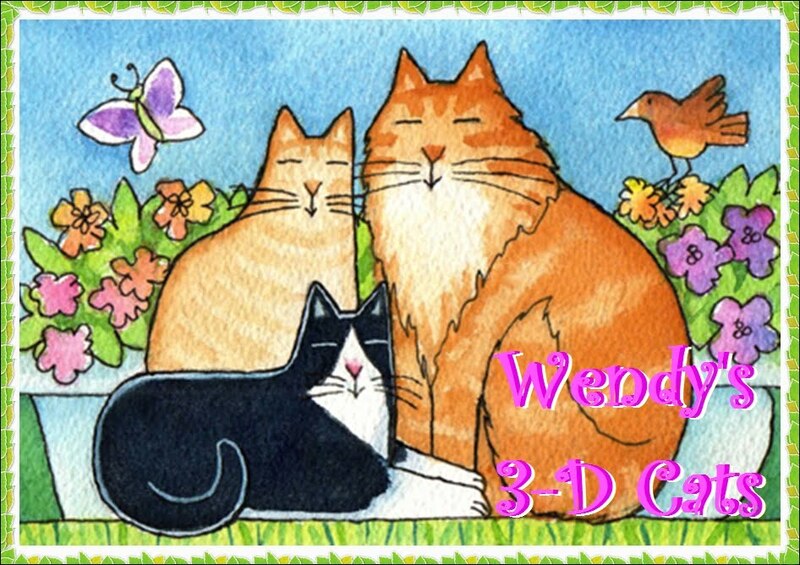 Wendy's 3-D Cats: DYLAN IS HATUS MANUS CATUS: MY DEEREST FRIEND! Dylan has a forest friend that is very near and deer to him. He is just returning from a long-awaited visit with his aptly named friend, Deerborne. It's been quite a while since they've seen each other. 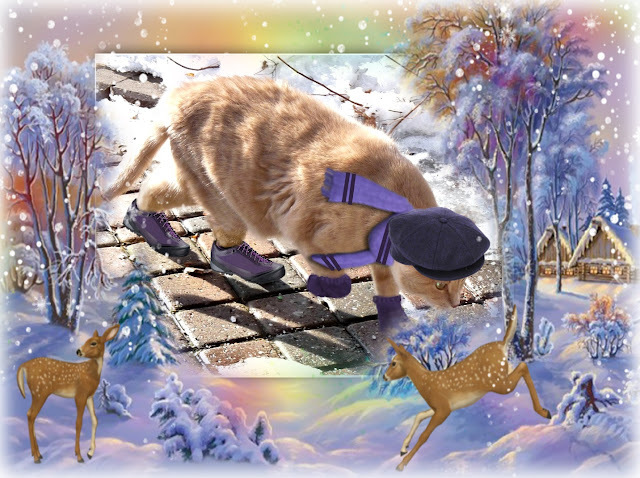 For his sojourn into the snow, Dylan selected a dark purrple wool Burberry flatcap to cover his tender ears, and a coordinating light purple-striped scarf, and mitts in a slightly darker hue. On his back feet he wore some waterproof ankle boots in purrple and gray. They provided good traction in the hard-packed snow, and their thinsulate lining kept his toesies nice and TOESty. What prompted this visit to his deer one, you may ask? Dylan's mind cast back to the early fall, when such visits were so simple. Life was easy then, and nothing could keep them apart. He and his friend Deerborne saw each other every day. And then one day, earlier in the season than usual, the snow started to fall. And it snowed, and it snowed, and it snowed!!! Deerborne missed Dylan deerly, but the extreme weather had come between them. Deerborne was equipped for the elements, but Dylan was not. 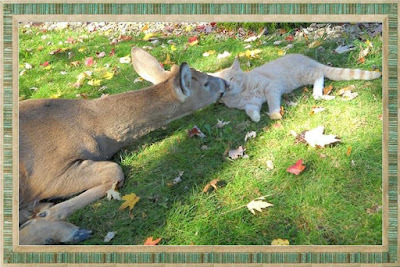 Christmas came and went, and all Dylan could do was hunker down by the fire and dream of seeing his buddy Deerborne again. Dylan kept a special present aside just for him. 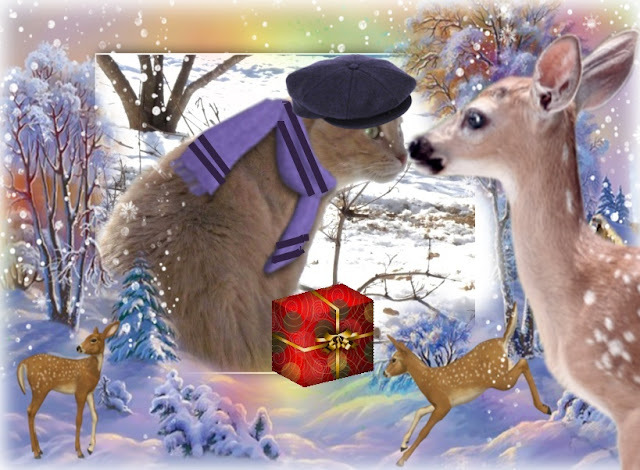 Deerborne sadly had no choice but to hold on for deer life until he could see Dylan once more. Finally, the day came when they could face each other in purrson! The sun had come out and the snow had parted (just like the Red Sea!). "O frabjous joy! 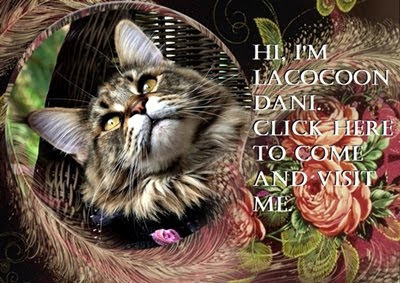 Callooh, callay!" 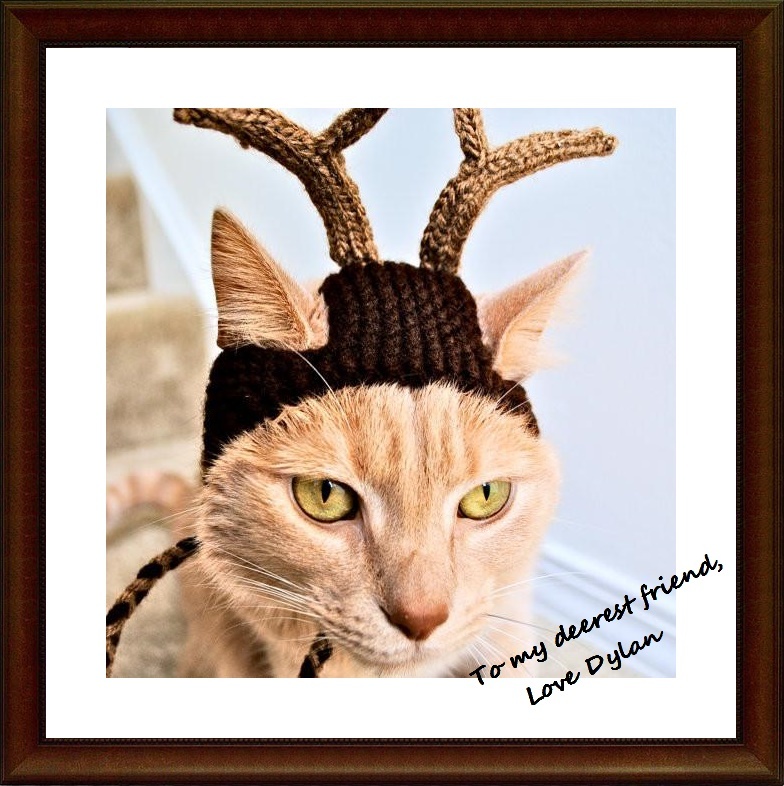 ... Why it was a signed picture of Dylan so Deerborne could have a face-to face with him any time he wanted! And the fact that Dylan's deerest wish was to become one himself (a deer, that is) only brought the two friends even closer. 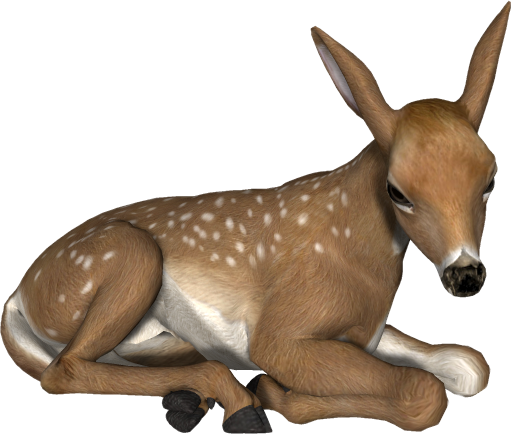 "If yoor not born a deer, like Deerborne, then imitation is da next best fing!" says Dylan sincerely. If someone is truly deer to your heart, you'll always find your way back to each other. We love that moral and Dearborn is so cute. Hey Dylan, love that cap! Dyaln, that is a sweet friend you have. It is too bad he can not live in the garage during the winter so you could spend more time with him! That was very sweet and Dylan makes a great deer.